Graphics routines for Modula-2. FST, Logitech, JPI. for a CGA card, and a TurtleGraphics package based on these. be very sophisticated. It is released as freeware. The definition modules are BASICGRAPHICS.DEF and TURTLEGRAPHICS.DEF. 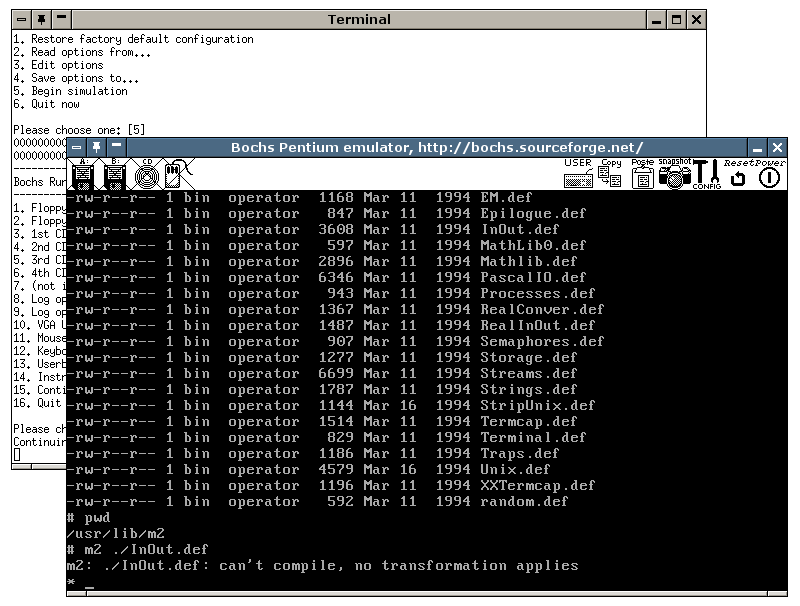 Implementations of BASICGRAPHICS are given for various compilers.